Malaria is a life-threatening disease caused by parasites that are transmitted to people through the bites of infected female Anopheles mosquitoes (WHO). "Any death from malaria , a preventable and treatable disease is simply unacceptable," said Dr Pedro Alonso, Director of WHOs Global Malaria Programme.Our project has two objetives : 1. To reduce by at least 70 percent the number of malaria illnesses and deaths among children in twelves remote rural communities in Gungu in 24 months . By: Providing more than 150 000 families residing in twelves villages in rural Gungu with health education on how to ensure a malaria vector (mosquito)-free environment in their homes. Build the capacity of 100 village health assistants to be able to accurately diagnose malaria as well as provide correct treatment to people especially under-5 children in rural Gungu . Provide and distribute 200 000 insecticide treated bednets to families with under-5 children in rural Gungu so as to protect them from malaria. Provide village health posts in Gungu with supply of essential antimalaria medicines for treatment under-5 children whose parents are too poor to afford malaria treatment costs. 2. To build the center for Malaria Control , research and prevention that will envision a world where no child will die from a mosquito bite.On this center ,our work will provide best evidence for policy and practice in the prevention, diagnosis and treatment of malaria that will be important to make a significant contribution to international efforts to reduce the burden of malaria by influencing global practice and policy with high quality, relevant research across 27 high-burden countries in sub-Saharan Africa ,Greater Mekong Subregion and Americas. Malaria is the most important single cause of frequent work and school absenteeism, anemia, poor growth and delay in achieving developmental.Our project will directly save the lives of about 200 000 children in Gungu and boost their development ;It will also boost the productivity of the average community member.Because malaria accounts for about 80% of healthcare costs for families in this region, this project will ultimately contribute to poverty reduction in the target as more disposable income accrues to families to cater for their other needs.If we educate families on how to ensure a malaria vector (mosquito)-free environment, as well as provide families with insecticide treated bednets, we will be able to reduce the number of malaria illnesses and deaths in children by at least 70%.Our centrer will Control Program focused on delivering, monitoring,laboratory research and evaluating interventions at the grassroots level, including: bed net distribution, case detection and treatment, operational research, and behavior change communications, such as teaching people how to properly hang a net in Sub-saharan Africa ,Greater Mekong Subregion and Americas with strategies to carry out cutting edge research and development in all aspects of the disease that will lead to the elimination of malaria , to conduct qualitative and ethnographic research to understand contexts of risk, illness experience, caregiving and social attitudes towards malaria.We will engage in advocacy on malaria at local, national and international fora where Malaria continues to be strong and greatest economic loses, This project aim to reach the 2030 malaria goals under SDG 3 and with strong commitment by all, it will also reduce poverty and create healthier, more equitable societies . Congratulations Louison for being a Winner in the Youth Citizen Entrepreneurship Competition! You have an incredible project that will make a tremendous impact for your community and beyond. Best of luck in your continued success! Please give him this awesome chance! His work can help save millions of children, in a world where non developed countries have the best opportunities, him and his project can give a little hope for those people! one wishes that you were there (from my inner thinking). Congratulations for the good and far vision you have. It is a great and important project to save kid\\\'s lifes. Congratulations for the initiative. In a world full of selfish people, we still see some who love and care about others. É um dos projetos mais importantes que eu já vi. Esse homem é um anjo, e ele precisa levar isso a quem necessita! Todos os projetos tem a sua importância, mas ficarei muito feliz se ele ganhar! Deus te abençoe muito! You're surely going to be a great doctor, just like the human being that you already are. and by thus, change a little bit of the World - for the better! It's such a honor to have you in Brazil with us. Ótima ideia!!! Isso vai salvar muitas vidas! To torcendo muito e espero que ganhe! Parabéns por desenvolver uma pesquisa tão relevante! Hello Loiuson ! The man with highest vote. I am so encouraged with your passion in carrying people along to vote for your project. Brother ! You are doing great and hope to meet great mind like you soon if destined. I love this project. I love this project. I love this project. I love this project. I love this project. I love this project. I love this project. I love this project. I love this project. I love this project. I love this project. I love this project. I love this project. I love this project. I love this project. I love this project. I love this project. I love this project. I love this project. I love this project. I love this project. I love this project. I love this project. I love this project. I love this project. I love this project. I love this project. I love this project. I love this project. I love this project. I love this project. I love this project. I love this project. I love this project. I love this project. I love this project. I love this project. I love this project. I love this project. I love this project. I love this project. I love this project. I love this project. I love this project. I love this project. I love this project. I love this project. I love this project. I love this project. I love this project. I love this project. I love this project. I love this project. I love this project. I love this project. I love this project. I love this project. I love this project. I love this project. I love this project. I love this project. I love this project. I love this project. I love this project. I love this project. I love this project. I love this project. I love this project. I love this project. I love this project. I love this project. I love this project. I love this project. I love this project. I love this project. I love this project. I love this project. I love this project. I love this project. I love this project. I love this project. I love this project. I love this project. I love this project. I love this project. I love this project. I love this project. I love this project. I love this project. I love this project. I love this project. I love this project. I love this project. I love this project. I love this project. I love this project. I love this project. I love this project. I love this project. I love this project. I love this project. I love this project. I love this project. I love this project. I love this project. I love this project. I love this project. I love this project. I love this project. I love this project. I love this project. I love this project. I love this project. I love this project. I love this project. I love this project. I love this project. I love this project. I love this project. I love this project. I love this project. I love this project. I love this project. I love this project. I love this project. I love this project. I love this project. I love this project. I love this project. I love this project. I love this project. I love this project. I love this project. I love this project. I love this project. I love this project. I love this project. I love this project. I love this project. I love this project. I love this project. I love this project. I love this project. I love this project. I love this project. I love this project. I love this project. I love this project. I love this project. I love this project. Espero que esse projeto seja escolhido! Muito boa a iniciativa de levar qualidade de vida e cura a essas pessoas que contam com tão pouca ajuda governamental. Sei que o esforço é grande e a batalha está longe de terminar, mas torço muito para que dê tudo certo. Hello my fellow traveler, How are you? I have just seen your entry and have been thoroughly impressed by it. Do you think you can also see my entry and give me some constructive criticism / feedback so that I am able to improve on the idea even further? Eu apoio essa iniciativa, graças aos benefícios que essa pode trazer à população. Parabéns pela (já) conquista. Espero que você realize tal processo com muito sucesso. Boa sorte nessa empreitada. Great project! Hope this helps many people. In a world where no one seems to care with other people anymore, it's actions like this that show otherwise and that there is still hope we can change the world and make it a better place to live. Great project, lets help the ones in need. If we all get together we can end this horrible situation. Great project, lets help the ones in need. If we all get together we can end this horrible situation. This is so important, i Hope he can do this, this people diserve that, Its so hard have that kind of life, and i dont know whats happening in this World, but nobody\'s care with this. How??? Are peoples like us, peoples who needs help to live!!!! I Just Hope this world wake up, and help this Guy tô do this, thanks Bro, u give me more Hope in this crazy world. Me: Hello Dear Ahmed ! Me: Thank you very much Dear Ajith for your kind words. Malaria has proven to be the number one killer ailment in our part of the world. We need a sustainable approach to the issue. What are some of the indigenous ways the rural people can use to prevent and protect themselves against malaria. Me: Exactly Emmanuel .Thank you very much for your kind words. If i had the chance I would say let all the projects be in the finals but my advice is, beyond YCEC continue to develop your project and make the world a better place through what you have. For me Money is synonymous with IMPACT. The more people you impacted with this project the more money you have and more better the world becomes. God bless you. Thanks for voting for my idea as I did voted for your project too. Me :Hello Dear Emmanuel , I really appreciate all project in this platform , we faced problem and difficulties to relaize our project because we don't have the support .In this context the money is very usefull as an opportunity that can be used to reach our Goals.Investing to end Malaria Death will be benefit for entire economies and we will save lifes.Africa could save 12 billion USD a year . É muito bom ver pessoas que representam minorias, que são consideradas inferiores mostrando seu verdadeiro valor. Com toda a certeza Brasil está sendo muito bem representado! Espero que todos consigam votar e pare de dar erro. Boa sorte!! Me : Muito Obrigado Lara . Vamos votar e torcer para que dê tudo certo . This is a wonderful project. It is like a dream to think about heathy kids in all the World. Este e um projeto maravilhoso. É como um sonho pensar sobre crianças saudáveis em todo o mundo. It would be not the profit that would make you frustrated in life if you have missed establishing this life saving project but regretting for not doing enough to save people.Congratulation for being innovative and life saving project you have. Le paludisme (ou malaria) est une pathologie infectieuse tropicale transmise à l'homme par une espèce de moustique endémique de certaines régions d'Afrique, d'Amériques ou d'Asie. Cette maladie est responsable chaque année d'un à trois millions de morts dans le monde. Le paludisme (malaria) est la maladie infectieuse tropicale la plus répandue dans le monde. Elle est due à un parasite (Plasmodium) transmis à l'homme par différentes espèces de moustiques du genre « anophèle ». Le parasite est donc inoculé à l'homme par piqûre d'un moustique de type anophèle porteur de ce parasite. Cette maladie grave peut être mortelle sans traitement approprié. Felicitation Louison pour ton projet de lutter contre le Paludisme . Felicitation louison because in a short time the project to fight against the malaria that is on paper will become a reality, all are behind you, we vote massively for the project, that the God of our pregnant protects you. Hello from Madagascar! I am overjoyed with the success of your project "Preventing childhood malaria". Congratulations for proving that hard work and honesty are indeed the best policies. haha Hope to be really one of the winners .It is my dream and i will be very happy about it . Warmest regards with kind love . Me: Hello Dear Seth , thank you for your kind words to my project ,let me tell you that if it depend only to me ,i will give the Entrepreneurship Campus Prize to you , I can find in you habilities and full mindset as a genuine Entrepreneur .Good luck to you . This project will really implement many sustainable development Goals and will tackle the access to health care in Africa and latin America . Thank you very for your appreciation to my project . I am very happy to know a visionary young person like you. Your project is very important and save the many lives. i hope you will work harder towards its full implementation. Wish all the best, and meet you at O-YES International conference. Thank you very much for your appreciation to my project , we will make a major effort by caring and preventing Malaria that is essencial for the achievement of many sustainable development Goals. It will be a pleasure to meet you in O-YES International Conference . Thank you for your effort and your entrepreneurship spirit .I have seen this video too . It is awesome . Your invention is very much appreciable. People like you are a blessing to the modern world because you are utilizing your skill to help the common people. Keep this spirit throughout your life. The will to do varitiies in life opens up the door of opportunities. So keep this positive attitude always and May God Bless You. I m happy to read your comment and all your kind words .God bless you too and wish you the success as an Entrepreneur. thank you very much my dear , i wish you only the best . You have a very life saving project which has to be Supported. Then am asking how are you handle cultural and traditional challenges against the use of mosquito nets,in some African Community is not luck of mosquito nets but they are misusing them or Get afraid of the long acting chemical for some nets how will you handle this challenge. Congulatulation for this life saving project. This is challenge to tackle also mainly for people in rural area .It why we will train health assistance to explain for the communities about the importance of Mosquito treat bed nets .I thing they will understand . The knowledge is guide of all action .We will bring knowledge to this population usefull to save their lifes. Thank you very much for your appreciation to my project . Your project is massive and it's promoting healthy life and well-being through combating malaria in those regions. I have a question, what have been the challenges you have been facing in your project? Congratulation for your effort to prevent Malaria and Mosquito bite . The Protection against mosquito bites requires the use of impregnated bed nets, continuous diffusion insecticide and skin repellent, and the wearing of light and covering clothing (long sleeves, pants and closed shoes) Where mosquitoes are the most active. Dear LOUISON MBOMBO's, thank you for this amazing project. Malaria is one of the most diseases which kills many people in Africa. Fighting malaria will serve millions of lives in Africa. Malaria kills many people in rural areas esepcially kids. This project will advocate about malaria in rural areas and how to prevent it. Me : Thank you very much Anita , I wish the same to you ! Thank you for kind words, support for AfricEnergy and stopping by on my idea. I really appreciate your positive remarks. I am a fan that firmly supports your project. Congratulations for your efforts. Thanks for your appreciation to my project . me too i m firmly supporting your project that is important to tackle the energy access in Africa and will implement more Sustainable Development Goals. If we have energy we will not have a difficult to learn at night , we should save lifes in the hospital and so on . This means that your project is very essencial in all aspect of our life. Hello Louison, "Any death from malaria , a preventable and treatable disease is simply unacceptable,"
Malaria is a life-threatening disease by preventing it you are doing a great job.This is a very impressive idea and it will surely be beneficial for all. A community with meaningful collaboration vision can achieve a lot. Congratulations for all your efforts and for your project. A great project that safeguards thousands of life's. Thanks for you appreciation to my project , we can´t accept death from a prevetable and treatable disease .It why I want to colaborate with diferent countries for global strategies to eliminate Malaria .The Problem with Malaria in Sub-saharan Africa ,no country can eliminate malaria by working alone .We want create a network usefull for achievement of global Malaria strategies. This project will thousand of people who are loosing their life everyday and no child will die due a mosquito bite . Your project is awesome indeed, it will greatly affect the health life of your community! I just thought to stop by and check on your progress thus far and must say congratulations for your efforts so far, we all need to put in more efforts to achieve our dreams. thank you very much for kind words . I wish the same to you . Thank you Mbombo. Having you around is very encouraging and wonderful. I wish you success on your journey and you should always expect the best coming your way. I have seen your idea yesterday and let me tell you ,if it depend only to me i will give choice to you as one of the winners in YCEC .Your succes is the empowerment of women in Africa , where there is inequality between men and women . I m supporting your idea and i wish you all the best .May God bless you and you can be the inspiration for others women in Africa . Empower women in Entrepreneurship is to create a equal world . Dear Campus members let support AfricEnergy usefull for the achievement of many Sustainable Development Goals. You have a very interesting and yet life saving project, your project is unique as it is community based, this will bring positive impact towards both healthy care services and social well being. I support your project as it match the idea https://www.entrepreneurship-campus.org to the fact that we are all community based projects. Let's support each other to bring sollutions to our Community. Congulatulation for the effort you're putting on this project. Me: Hello my dear Uledi ! Thank you very much for your appreciation to my project . I m supporting you to all effort you re doing to tackle social problem in your community .Zero hunger is possible and must be resolve Must be resolved in the immediate mainly in Africa where the most of people suffer from malnutrition . O projeto PREVENTING CHILDHOOD MALARIA DEATH IN RURAL GUNGU AND MALARIA CARE INTERNATIONAL CENTER é fantástico. Merece muito o reconhecimento desejado e com certeza terá o sucesso almejado. O autor é muito inteligente e terá tudo que aspira. Me: Muito Obrigado Mylton pelo apoio . You have a very interesting and yet life saving project, your project is unique as it is community based, this will bring positive impact towards both healthy care services and social well being. I support your project as it match the idea https://www.entrepreneurship-campus.org/ideas/12/5816/ to the fact that we are all community based projects. Let's support each other to bring sollutions to our Community. Congulatulation for the effort you're putting on this project. Vim dizer que achei linda a causa pela qual você luta e desejar os parabéns por tanto esforço, continue assim pois precisamos de mais pessoas como você no mundo! Every time I read this project I am so inspired as it is life saving as it touch both healthy care and community well-being of Children. Congulatulation for the efforts and good progress you have just shown. Congratulations on your efforts, such a great cause. I wish you the best of luck in this division. I am also starting a non-profit company, the direction is entirely different, yet I would appreciate if you spare some advice on starting a non-profit. Me: Muito Obrigado Rafaella pelo apoio e belas palavras . Um projeto muito interessante e parabéns pela iniciativa Louison, vamos torcer para que dá tudo certo. Estamos juntos na luta contra a malaria tanto na Africa, tanto no meu país Haiti. Muito sucesso! Me: Muito Obrigado Junior pelo apoio , Vamos torcer para que dê tudo certo ! Estou impressionada com a ideia e espero que o projeto receba o devido reconhecimento e ajuda. Você está tendo uma iniciativa louvável, que merece ser replicada para o mundo. Parabéns por salvar e se importar com as vidas. Muita sorte e sucesso na caminhada! Me : Olá Karina ! Muito Obrigado pelas belas palavras .Espero conseguir para poder salvar vidas ! Yes this project will not only implement the sustenable development goals under 3 ( Good health and well being for all ) , but will also tackle the unemployement challenge and will champion more Sustainable development goals usefull to entire benefit to the ecomonies , agriculture , busness etc. Good luck! It could be a great example of partnership between contries and intitutions to support devolopment of science and help needed people at the same time. Louison you have support from several people from different parts of the world, this is a great oportunity to make the project even greater! To tackle this challenge requires approaches that cover several countries simultaneously because no country in isolation will be able to eliminate malaria in a sustainable way . thank you very much for your appreciation on my project . I m very happy to learn that you have an eletronic invention that prevent mosquitoes ; it is very interesting for me .I will like to know more about it .Can you please send me a message concerning your invention ? About the countries where we will operate ;The Democratic Republic of Congo, together with Nigeria, represents 40% of the world's malaria deaths, according to the World Health Organization's (WHO) 2013 report, this means that we have more activities in these countries .We can keep touch usefull to tackle the Malaria Challenge in Northern part of Nigeria. I believe in this project to save children from the Sub-Saharan África from malaria. I want to help this project win because of that, then. I think malaria is a neglected disease because It affects mainly poor people. Therefore, projects Like this are Very important so Rhode people are not unattended. Great Mind Louison ! This is very interesting project and saluting you for your previous work on the project. Saving peoples lives can not be under estimated and I want you to be courageous to keep on the good work in Africa. I will like you to consider Northern part of Nigeria also as part of the 15 countries you are extending this project to. I am an engineer and I have an electronic invention that prevent mosquitoes in any area. Let's see how we can partner together to advance your vision. I am in full support for this project. Louison, voce está de parabens, mandando muito bem. O projeto é grandioso. Vamo que vamo. Tem tudo pra dar certo! Você é uma pessoa muito valiosa que a UfMG e o Brasil devem ser orgulhar de ter por aqui. Pesquisa associada a melhoria da saude em um local extremamente afetado. O que mais podia ser melhor financiado. Extremamente palpável o seu projeto! Parabéns, vamos seguir em frente! Well done! I am impressed reading through your idea. While the financial sustainability of your services is to be considered judging by the fact that most of these people are poor and from rural areas to be able to afford your services; you should consider intensive efforts to get Partnerships with international donor agencies who are available to fund your idea. All the best. projecto maravilhoso, espero que chegue a final e consiga realmente ajudar quem precisa. Espero que fique entre os finalistas! This is the community based project, A child should not die for mosquito bite While the world have all the materials and resources to rescue them,Congulatulation for this Wonderful idea. Its the second time I find myself appreciating this project. Me : Hello Dear Uledi , I m só happy for your appreciation to our project ; hope to complete this project that aim to make an international effort towards the elimination of Malaria in the world and with our innovation and strategies we can believe that no child will die to a mosquito bite . You have nothing to thank for, indeed is a good project. I invite you to also comment my idea Path To Knowledge. I would really like to hear your advice. This is an amazing project! I hope and I know that it will save a lot of lives, I really appreciate your work an effort. I think it had already a big impact and it still can grow. Keep continue with this project and I wish you all the good fortune for what you propose yourselves to do. Me: Thank you very Much Andrei for you kind words. Congratulations for the iniciative. They are people the world needs. If others did the same, devoting little of their time to transforming lives, the reality would be different. Me : Thank you very much Ingrid for your kind words. Dear Safa Elsharief, thanks for interest to know more about our project , i thing all your question you can meet answer by reading our project .Because i mentioned all dificulties we are facing to fight against Malaria .It not only with Antimicrobial resistance or Low number of health workers education .The big problem with Malaria is education with communities to change behaviors that will be important to protect them against Mosquito vector and we need most investisment to implement more strategies by working togethers with diferent countries . More informations you can find this in our project. Anything else don't hasitate to get touch with me. Incrível! Um projeto que pode alcançar uma enorme parcela da população carente. O mundo precisa de mais ajuda e de mais mentes brilhantes e que se importem como esse rapaz! Hope it helps you to save many lives, it is really inspiring to see ideas like this one. Ps: The voting system is telling me all the time that my comment is really short but I don't see how. Anyway, good luck! 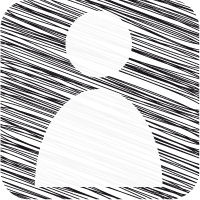 Louison has a great project. Its a honor to see a great friend of mine doing such a nice job. Great for Congo and for Brazil, also very useful to the worlds health. Programs like this are needed to decrease malaria mortality. I think everybody should vote for this guy, because he can actually save some lifes. And I also think that his idea is very nice and very elaborated. I fully believe in his work and in his study for malary. And i also wish the bestest of best for his study. Sou brasileira e dou apoio a este lindo projeto! Espero que dê bons frutos, e ele consiga salvar muitas vidas, que são inocentes, e não merecem morrer desta forma. Se houvesse mais apoio e investimento na saúde, as coisas seriam diferentes. good luck! I wanna visit Africa soon, hope your project wins. If you ever need a help of a photographer, please just let me know. Congrats on the amazing project! People like you are precious, congratulations again! Go, Louison! O projeto é muito consistente, bem apresentado, belo, merece ganhar! I am fascinated by your project goal and vision. It is truly inspiring to see someone working as hard as you do to defeat malaria in their community. As a pharmacist and I think the world is not giving enough attention to Malaria. Thanking you advance and good luck! This is a life changing project and until one has their loved one taken by malaria there isn't a lot of people who understand how important this is, round of applause from us at Leratong Tourism. You have taken a good step for the people of Gungu. I think by this project you can save the lifes of more people and children who are suffering from malaria disease. You have taken the right initiative and God may always with you to carry out this project. May God Bless you. This is an insightful idea and I pray you keep up because many people have done this Nigeria but they all have an ulterior motive, either the politicians want to use it to boost their profile or the hospitals want to use it to gain grounds in the communities. My single advice for you is not to get carried away, focus on the concept of your project , don't associate with people you know won't add any value to your organization no matter the condition. GRACIAS. Me : Thanks Esther for your advice. Excelente projeto! vamos votar todos para diminuir a malária na África. Com certeza o projeto vai prestar muita ajuda assistencial para à população da área. Assim, vai ser interesante pensar em realizações de palestras nas escolas, universidades e nos centros recreativos e sempre instruindo a população quanto à importância das medidas profiláticas etc... pelo fato de que as vezes a maioria da população desconhece o papel do mosquito como transmissor da malária. Estamos na torcida para a aprovação e o bom succeso do projeto! Me: Muito Obrigado Carl . Me: Muito Obrigado pelo apoio Andressa ! Parabéns pela iniciativa! Good idea! Parabéns pela iniciativa! Good idea! Parabéns pela iniciativa! Good idea! Parabéns pela iniciativa! Good idea! Parabéns pela iniciativa! Good idea! Parabéns pela iniciativa! Good idea! Parabéns pela iniciativa! Good idea! Parabéns pela iniciativa! Good idea! Parabéns pela iniciativa! Good idea! Wish existed more people just like you in this troubled world. Never give up your dreams and your noble fight for those vulnerable and in need. Thanks for the amazing work!!! You rock, my friend!!! thanks for your support .I m só happy to read this wonderfull comment . Espero muito que você ganhe e possa colocar o projeto em prática!! Saúde tem sido um grande problema para essas pessoas e a maior parte do mundo simplesmente esquecem que elas existem e que também são vidas humanas. Te Desejo sucesso, garra, fé, força, esperança, conhecimento, experiência de vida, equilíbrio, sabedoria e que você tenha cada vez mais amor pelo que farás, para que você possa enfrentar de pé todos os obstáculos que virão e saiba valorizar as conquistas, por menores que possam parecer. Eu realmente fiquei emocionado com seu lindo comentário , muitíssimo obrigado por tudo . Hi there. At this stage of the competition you can tell that you will be one of the winners. I do really hope you can get the resources to execute your health programm. Only the best of wishes! Me : Hey Daniel , thanks for your wishes , hope really to be one of the winners to improve the quality of life of people around the world fighting Malaria . Best regards and good luck for you too. Congratulations! What a wonderful project! It\\\'s people like you who make difference and help the world to be a better place. Really hope you win this, good luck for you! Me: Thanks Laura for your support to our project and your kind words. It's great and interesting to learn about your project. In case some people haven't asked already, where do you want start implementing this project and how do you intend to reach out to other countries. Thanks for your attention about our project , we aim to start in DR .Congo and if possible to start at the same time to the countries where Malaria have highest burden .We will use approaches to government , institutions or NGO which work with Malaria in others countries . And Malawi is one of country that we aim to do our actions. Não podemos aceitar Morte por Malária ;uma doença tratável e ainda evitável. Estou torcendo para que esse projeto as crianças da África precisam de projetos assim para superar a Malária. Não podemos deixar que mais crianças morrem e não fazermos nada! Parabéns pela iniciativa, estou na torcida. Le paludisme est de loin la plus importante maladie parasitaire tropicale dans le monde. Dans de nombreux pays en voie de développement, et en Afrique en particulier, le poids du paludisme est énorme en termes de décès, de dépenses médicales et de journées de travail perdues. On estime que le nombre de personnes qui meurent chaque année du paludisme se situe entre 2 et 3 millions et que près de 500 millions de personnes en sont infectées : la majorité des victimes sont des enfants de moins de cinq ans. Et vous, vous envisager réduit 70% de décès des enfants au milieu le plus reculé de la RDC. Felicitation pour le projet. Stop malaria, your project is so sharp and objective that I ask everyone to vote for you and say all together, stop malaria. Support this project my brothers and sisters by voting, commenting and sharing. Stop stop stop malaria. A project will save the lives of more than 200.000 children and stimulate their development; It will also increase the productivity of the community member by reducing the number of malaria episodes in the community. Given that malaria accounts for about 80% of the cost of health care for families in this region, aims to reduce the number of malaria diseases and deaths among children by at least 70%. It is a project to be massively supported by voting and commenting. The malaria parasite is a complex multicellular organism capable of dodging and overcoming immune responses. People who develop a natural immunity to malaria may in fact be bursting with malaria parasites, without revealing any external signs of the disease. With more than 5,200 proteins predicted from the sequence of the Plasmodium falciparum genome, there are thousands of potential proteins representing targets for a vaccine. A malaria vaccine could be the first vaccine, licensed, to protect humans against a parasite. Currently, vaccinologists are still studying ways to address the myriad challenges posed by the development of malaria vaccines. Many malaria vaccine developers have focused their efforts on creating a vaccine that limits the parasite's ability to successfully invade a large number of red blood cells. This would limit the severity of the disease and help prevent deaths from malaria. This is one of the approaches to the development of malaria vaccines and there are several others that need to be evaluated in order to achieve a malaria vaccine. The means to fight malaria exist. Today, prevention (long-lasting insecticidal nets, sanitation of the domestic environment, sprays, etc.) and treatments (artemisinin-based combination therapies) make it possible to fight malaria effectively. Scientists around the world are continuing their research for a safe and effective malaria vaccine. Recent progress in this area has led to optimism in the development of malaria vaccines. It is curbing the project aimed at the prevention of malaria to save more than 200.000 children. Parabéns!!!! Assisti a matéria sobre o seu projeto e o achei maravilhoso!!!! Que bom que com a sua experiência de viver no Brasil você tenha esse desenho de partilhar essa experiência com o seu país. Espero que tudo dê certo. A malária é uma doença que podemos vencer apenas por meios de prevenção, sensibilizar os nossos pais, os nossos irmãos e nossos amigos para evitar esta doença através da prevenção. melhor prevenir do que guerrir, dizem. apoiar este projecto de prevenção e irá reduzir a taxa de mortalidade causada pela malária. Pare de Malária. This is truly a very ambitious project and I wish you all the best. I've just noticed under your sustainability and future plans that one of your sources of revenue is membership fees, please expound on this- because it's a great source of revenue in my opinion but I'm just wondering how you go about it- what do you offer the members? How much is the fee? How did you come up with the fee? How much does it contribute to your total revenue sources. Thanks for your question and your interrest to know more about our Project and Organization . Our Organization is composed by most of Lawyers , Doctors in Medicine and Judge , we have diferent category members . And the membership fees is very diferent because it depend the kind what kind of Members you are .This contribution covers 35 percent of Contribution , and the Organization have some Income generating activities usefull to support some objectives of our Organization . Hope to answer to your question .Anything else don't hasitate to get touch with us . Junior MANGOBA GOGO :A malária mata muitas crianças na República Democrática do Congo na falta de uma boa politica de assenissement de meio, apoio este projeto é salvar as vidas de mais de 200.000 crianças, voto, comentário e compartilhar em favor deste projecto preventiva a única arma para combater a malária. Me : Muito Obrigado Junior pelo apoio . 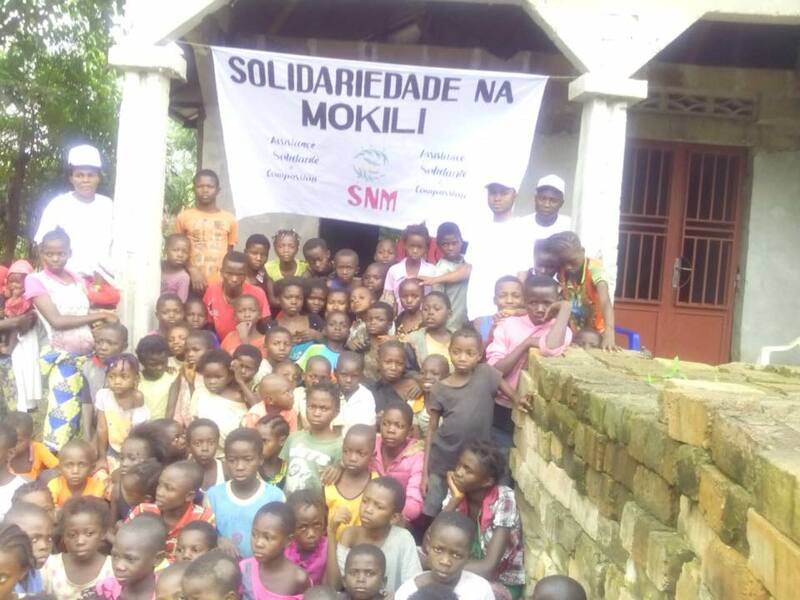 A malária mata muitas crianças na República Democrática do Congo na falta de uma boa politica de assenissement de meio, apoio este projeto é salvar as vidas de mais de 200.000 crianças, voto, comentário e compartilhar em favor deste projecto preventiva a única arma para combater a malária. Lucas Bittar :Let's vote, help and improve the health in Congo! Luison is doing a great job. Creating new conections among two continents and ofering possibilities for all to have benefit. Nelly :Bravo et Courage muana ya Mboka! Quando temos essas opportunidades de ajudar os outros tem que fazer mesmo we know where we came from. Good luck for your project and wish that you maket it forward. La patrie te sera reconnaissante. I m glad to hear this . Bravo et Courage muana ya Mboka! Quando temos essas opportunidades de ajudar os outros tem que fazer mesmo we know where we came from. Good luck for your project and wish that you maket it forward. La patrie te sera reconnaissante. Let's vote, help and improve the health in Congo! I found your project very magnificent, because malaria is among the great remaining to be fought by the public health in the democratic republic of Congo. Felicitation louison for your project. God bless you and give you good health. Seeing a person who is interested in the most opressed continent is beautiful. I hope this project stand for so many years! I\'m so grateful for this man and I\'m very happy to see all the positivity involved on that! C\'mon, guys! Let\'s help each other! STOP MALARIA, let's say NO malaria no democratic republic of Congo, I am Congolese, I support the project, I vote, I comment and I share so that everyone sees and also support the project, congratulation louison. A very beautiful iniciative louison mbombo, make your story in a good way, several children killed malaria, I vote, I comment and I share the project, I also ask you to do like me to save also children. Felicitation louison, a vital project that will save more than 200.000 children, I make a call to vote, comment and share this project massively, all fight malaria, and say STOP MALARIA in the DRC, in Africa and all over the world. We wish you all the best, and we urge all our friends all over the world to vote in favor of this great project, congratulations, praise be with you. It is a preventive and curative project, a project that will save more than 200,000 children. It is an important step for Brazilian research, especially for black Brazilians, who can see you as representative. The scientific community as well as the population is very proud of you. Congratulations on your research. É claro que eu vou votar a favor desse projeto incrível. Sucesso! Desejo que realmente de tudo certo pra você, pois pessoas lá do outro lado do continente precisam de nós aqui. Ele merece! Trabalho muito bonito que vai fazer bem pra muita gente. Ajudar crianças e logo ajudar a família dessas pessoas. Espero que dê tudo certo e consiga esse grande feito. Parabéns. This project gonna save children lives in África, the malaria its a very important problem, annually several people suffer from malaria in Africa, and this is a very sad fact. - Use coils and mats impregnated with insecticide in closed rooms to repel the mosquitoes. Merece muito o prêmio, afinal cientistas e empreendedores negros têm menos visibilidade, além de a malária ser reconhecidamente um problema de saúde ignorado pela indústria farmacêutica - dado que afeta populações pobres majoritariamente. Parabéns! Hope you'll receive the prize, after all black cientists and entrepeneurs receive less visibility; also, malaria is admittedly ignored by the drug industry - due to its major victims are poor populations. Congratulations! Je souhait que vous recevez le prix, parce que les chercheurs et les homme d'affairs noirs reçoivent bien moin visibilité; aussi il est bien su que le paludisme est ignoré pour l'industrie pharmaceutique donc c'est une maladie que affecte surtout les peuples pouvres. Félicitations! Congratulations Louison: Together with diagnosis and treatment, WHO recommends a package of proven prevention approaches, including insecticide treated nets, spraying indoor walls with insecticides, and preventive medicines for the most vulnerable groups: pregnant women, under-fives and infants. There are several compelling reasons to clean the environment globally. One of the most obvious is that a polluted environment results in deaths. Supporting this project is saved more than 200,000 children, Together say STOP MALARIA, congratulation louison for the vital project. 13 DECEMBER 2016 | GENEVA - WHOs World Malaria Report 2016 reveals that children and pregnant women in sub-Saharan Africa have greater access to effective malaria control. Across the region, a steep increase in diagnostic testing for children and preventive treatment for pregnant women has been reported over the last 5 years. Among all populations at risk of malaria, the use of insecticide-treated nets has expanded rapidly. congratulation and courage louison for this project, God be with you. Creio que esse projeto seja de extrema importância no combate a um dos males que convivem com o povo africano e merece ser reconhecido por esse prêmio para que possua uma maior visibilidade na busca por patrocínios e ajuda na viabilização do mesmo. 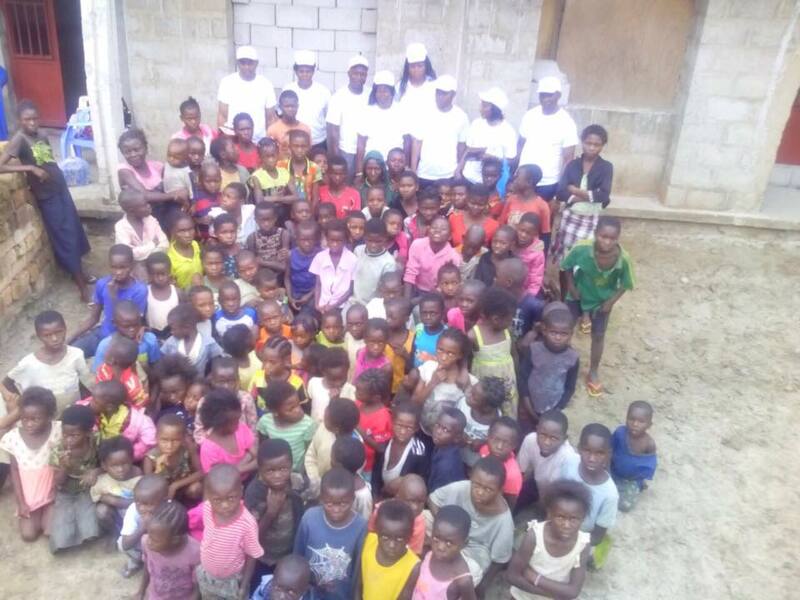 Votons massivement pour ce projet qui va sauver plus de 200.000 enfants (deux cent mille enfants), courageons le fils de pays qui se bat avec ce projer pour sauver de vies. La malaria tue, il faut la stopé, soutenons le projet atravers nos votes, motivations et partager la publication pour que les autres personnes voient aussi. STOP MALARIA. REFS :Estamos todos na torcida, creio que a gente vai vencer. Parabéns Louison pelo o projeto, isso mostra o quando amor você tem por seu pais. Ta bravoure sera recompensée. Me: Muito Obrigado Refs pelas belas palavras .Espero que dê tudo certo por aqui. Your idea is really great...N it will improve the public health welfare to a greater extent.. But would you mind explaining me that these services will only be available to a particular area or are you also planning to spread them. Thanks só much for getting the time to read my project and thanks só much for your kind words with our project.We want first to reduce the mortality rate in Rural and we will extend our activities with our center of control and prevention of Malaria in diferent states in Democratic Republic of Congo with objective to eliminate the Malaria . Estamos todos na torcida, creio que a gente vai vencer. Parabéns Louison pelo o projeto, isso mostra o quando amor você tem por seu pais. Ta bravoure sera recompensée. Fandu Akokola : Some population groups are at considerably higher risk of contracting malaria, and developing severe disease, than others. These include infants, children under 5 years of age, pregnant women and patients with HIV/AIDS, as well as non-immune migrants, mobile populations and travellers. National malaria control programmes need to take special measures to protect these population groups from malaria infection, taking into consideration their specific circumstances. Sherer Bano : Malaria is a common disease and a lot of people die daily because of insufficient treatment or lack of money and this is not just a problem of single state/country whole world is suffering from this kind of trauma so if you are standing for this cause and supporting the needy people then this means world is actually changing for good many cheers for your project and for your noble deeds. All the best for your project i hope it reaches to the heights where it deserves to be. Julia : Fiquei muito feliz por saber que uma ideia tao bacana poderá ser colocada em pratica e ajudar muitas pessoas! Estou na torcida pelo projeto!!! Henry Mova: Malaria is a serious disease, which in the worst case may be fatal. It's widespread in tropical and subtropical areas of mainly Sub-Saharan Africa and South America. From a global viewpoint, malaria constitutes an enormous health problem, with an estimated 200 million plus new cases a year and more than half a million deaths. Fandu Akokola :It's not possible to avoid mosquito bites completely, but the less you're bitten, the less likely you are to get malaria.Congratulation Louison with your project because your methods of prevention can protect and reduce the episods of malaria and protection against mosquito bites. Évitez les lacs, les étangs et les cours d'eau dans l'après-midi et le soir. Individual measures: use of mosquito nets impregnated or not with insecticides, clothes that protect legs and arms, screens on doors and windows, use of repellents. Collective measures: drainage, small sanitation works to eliminate vector breeding sites, landfill, breeding banks, modification of water flow, control of aquatic vegetation, improvement of housing and working conditions, rational use of land. Me: Thanks very much Junior for your support ! Medidas de prevenção : uso de mosquiteiros impregnados ou não com inseticidas, drenagem, pequenas obras de saneamento para eliminação de criadouros do vetor, aterro, limpeza das margens dos criadouros, modificação do fluxo da água, controle da vegetação aquática, melhoramento da moradia e das condições de trabalho, uso racional da terra. Mr. Vegah :A brilliant innovation to curb the high infant mortality rates in Africa caused by malaria which is preventable and treatable. I like this \'For most children in these communities, malaria is the most important single cause of frequent school absenteeism, anemia, poor growth and delay in achieving development\' Well done Louison. Me :Thanks só much Mr Vegah for your kinds words . Malaria is a common disease and a lot of people die daily because of insufficient treatment or lack of money and this is not just a problem of single state/country whole world is suffering from this kind of trauma so if you are standing for this cause and supporting the needy people then this means world is actually changing for good many cheers for your project and for your noble deeds. Fiquei muito feliz por saber que uma ideia tao bacana poderá ser colocada em pratica e ajudar muitas pessoas! Estou na torcida pelo projeto!!! Malaria is a serious disease, which in the worst case may be fatal. It's widespread in tropical and subtropical areas of mainly Sub-Saharan Africa and South America. Malaria is a serious disease, which in the worst case may be fatal. It\\\'s widespread in tropical and subtropical areas of mainly Sub-Saharan Africa and South America. Congratulations Louison for your project !!! It's not possible to avoid mosquito bites completely, but the less you're bitten, the less likely you are to get malaria.Congratulation Louison with your project because your methods of prevention can protect and reduce the episods of malaria and protection against mosquito bites. A brilliant innovation to curb the high infant mortality rates in Africa caused by malaria which is preventable and treatable. I like this \'For most children in these communities, malaria is the most important single cause of frequent school absenteeism, anemia, poor growth and delay in achieving development\' Well done Louison. Hey Mr. Abdisa thank you for yours kind words on my project , i m very happy that you realize that the project is very importante .Than i will learn more about yor project and give my feedback later . Thanks again and Good luck to the competition . Thank you Mr. FANDU for your comment , in our busness plan there are all these methods that are usefull for the diagnostic of Malaria . thanks again to remind us the recomendations of WHO about he Malaria . Indeed, your project is really useful for all of generation. Hopefully you can maintain and continue your project to be sustainable project around the world. simply by transforming real world challenges into opportunities. Please look at https://www.entrepreneurship-campus.org/ideas/14/ on the project I am launching. I will be happy to learn from your feedback in comments and voting. Dear Louison , you project is really interesting and congratulation for all you e doing in your community . Early prevnting of malaria reduces disease and prevents deaths. It also contributes to reducing malaria transmission. The best available treatment, particularly for P. falciparum malaria, is artemisinin-based combination therapy (ACT). Thank you Dr. Henry Pembele , in the light of the words of General Director we are doing our best to prevent and reduce the mortality rate of Malaria in CONGO . Im só happy with comment . The risk is greatest in rural areas. The risk of contamination varies according to the season in many places, being at its maximum at the end of the rainy season. Transmission decreases at altitudes where anopheles can not easily reproduce (above 2,000 to 3,000 meters, depending on location). Thank you Louison for thinking about the rural area to set up this project !!! WHO-recommended tools have made a measurable difference in the global malaria fight," said Dr Margaret Chan, Director-General of WHO. "But we need a much bigger push for prevention especially in Africa, which bears the greatest burden of malaria." In urban and tourist areas of South-East Asia and Central and South America, travelers are at reduced risk; While those traveling to urban areas in other areas where malaria is endemic, such as sub-Saharan Africa and the Indian subcontinent, are at significant risk of infection. Great project to be support Louison ! Thank you Dear Ananda for your kind words , I m very happy to read this .As student in Medicine studieswe can do many things and change the world , i m making profit of all that i m learning in the University to pratice this in my community the most neddy and poorest .Our Organization have a mission to improve the qualit of life in the population in precarious situation .We are working a lot to reach our goals. Thank you very much Dear Uledi for your kinds words , I m very happy that you know that the Malaria is a serious problem of public health , we need to support this project to tackle the challenge cause by this disease.Many children are dying in Africa for mosquito bite . Merci beaucoup Junior Mangoba pour votre commentaire , soutenons ce projet enfin que nous puissions reussir a prevenir la mortalité infantile et reduire les episodes de malaria en Republique Democratique du Congo .C'est un vraiment de la santé publique qui implique la participation de tous . Ensemble nous pour combattre la Malaria , C'est possible . This project, promoted by a medical student, is an example of health promotion in a community with serious problems. Malaria is a serious problem that can be tackled with actions like these that need encouragement. Que ótimo projeto, espero muito que ganhe e que possa salvar muitas vidas! Boa sorte! What a great project, I hope you win and be able to save many lives! Good luck! Muito Obrigado Marcelo Barros pelo seu ponto de vista . Precisamos tirar esse projeto no plano virtual para alcançar a população que realmente interessa .Nos estamos lutando para criar um mundo mai saúdavel onde todo mundo merece viver com dignidade . Merci beaucoup Anouchka pour votre commentaire , vrament nous sommes entrain de lutter pour sauver des vies en République Democratique du Congo .Ensemble nous allons faire du Congo un pays saine , prospere et sans pauvreté. le paludisme est la maladie la plus meurtrière et représente un lourd fardeau pour le pays. nous te soutenons beaucoup car le projet sauvera de vie. Assainissement de milieu, utilisation de moustiquaire, etc... sont de moyen pour lutter contre la malaria. Espero muito que esse ptojeto ganhe! Conheço pessoalmente seu criador (Louison), sua história e seu caráter, acredito que esse projeto vai ajudar a salvar e a melhorar muitas vidas em sua terra natal! Les outils de prévention contre le paludisme, tels que les moustiquaires imprégnées dinsecticide, les pulvérisations dinsecticide à effet rémanent à lintérieur des habitations et les traitements préventifs, sont puissants et efficaces pour un faible coût. Mais nombre de ceux qui en ont besoin ny ont toujours pas accès. Lors de la Journée mondiale de lutte contre le paludisme 2017, célébrée le 25 avril, lOMS demande aux pays et à leurs partenaires du développement daméliorer durgence laccès à ces outils de prévention qui sauvent des vies. Malaria prevention tools, such as insecticide-treated nets, indoor residual insecticide sprays and preventive treatments, are powerful and effective at low cost. But many of those who need it still do not have access to it. On World Malaria Day 2017, celebrated on 25 April, WHO calls on countries and their development partners to urgently improve access to these life-saving prevention tools. La prévention est la meilleure façon pour le combat de la maladie. Gracias Louison. Malaria is a potentially fatal parasitic disease transmitted by mosquitoes. It was originally believed that this disease originated from marshy areas, hence the name malaria derived from the ancient word 'palud' marsh. In 1880, scientists discovered the true cause of malaria, a unicellular parasite called plasmodium. They then discovered that the parasite was transmitted from one person to another by the bites of a female Anopheles mosquito, who needs blood to feed her eggs ... Every year, malaria causes many victims in the DRC. This endemic condition particularly affects children under 5 years of age and pregnant women. A good prevention policy is needed to fight it. Courage for your project Louison. "Vaut mieux prévenir que guérir", dit-on, une meilleure façon de rééduquer ou de combattre la malaria, ou quelques autres maladies c'est la prévention. Vous avez un bon projet qui prime aussi "la prévention", nous sommes derrière toi, que Dieu te protège et assiste votre projet. Je lance un appel humanitaire pour le monde entier et un appel patriotique pour natif de la RDCongo de voter pour ce projet. Thanks for great idea To get touch with World health Organization . It one of our objectives in this compétition To find a partners usefull to realize our project . Precisamos ajudar o próximo para criar um mundo mais saúdavel e pacífico .Saber que tem pessoas como ove torcendo pelo nosso sucesso .Nos ficamos muito felizes em ler seu comentário. Thank you very much for your feedback and your interrest to read our project and ask questions . Our Organization works to improve the quality of life of the people in Democratic Republic of Congo by investing to vulnerable people to build sustainable, healthy and productive communities. This project is one of many project that the Organization has developped since its creation , we are trying to do our best by preventing the malaria death with our litle ressource .This competition is an opportunity for us to extend our Work because we don't have a sufiicient financial support to invest to the target population .This project aims to help more than 200, 000 thousand children and to establish a centrer of control and prevention of Malaria .We need financial support and partenrs usefull to realize our goals. I like your project, I like that other doctors are concerned about the welfare and health of the community that needs it as health education according to the promotion and prevention, based on epidemiology, these numbers are impressive, here in Nicaragua Our prevalent infectious diseases by vectors Aedes Aegypti and Albopictus are Dengue, Chikungunya and Zika, and our Caribbean region is Malaria, and we do in the public health unit several methods of prevention and promotion of how to prevent these diseases and also the attention to the sick and rehabilitation. Does your organization intend to achieve by winning this competition? In your organization use something new or new method to prevent, what is different from other organizations? Seu ponto de vista é muito importante devemos lutar para enfrentar tudo o que dificulta o avanço de Saúde no Congo .Junto podemos fazer alguma coisa . Obrigado por torcer para nós. we will begin to the Gungu village because it one of the most needy and poorest .However Malaria is one of the public health problem in DR. Congo and most of countries in Africa.We have improved this project by establishing the center of Controle and prevention of Malaria .This center will be importante to extend our activities in others villages with objectives to do the Congo free Malaria country. O incentivo ao avanço tecnológico, assim como a percepção das dificuldades agrega valor ao estabelecimento do processo de combate às desigualdades como um todo para ajudar a combater a malária no Congo! Malaria is a very deadly disease and making your project about this disease stands out quite a bit. Since your project is aiming to save 200,000 children and it becomes successful, will you all think about targeting other countries and villages with a high death rate caused by Malaria? Projeto de grande relevância!! Tem grande potencial de ajudar Inumeras de crianças que infelizmente morrem devido à malária!! Projeto maravilhoso! São projetos como esse que podem pouco a pouco transformar a nossa realidade, tão dura para muitos pequenos! Im happy to read this , we are doing our best to emprove the life and to bring a well being to the population in precarious situation . As you know , in DR.Congo to acess to healthcare is private , you need to have money to tackle this .But most of population live under the poverty line in Urban area. 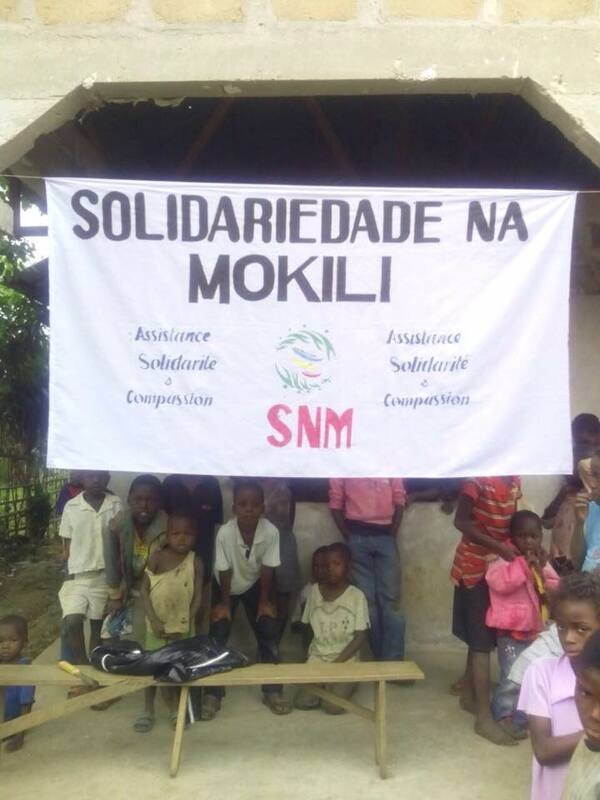 And can you imagine how is the life in rural area ?Very worst situation and the consequence is very bad .SOLIDARIEDADE NA MOKILI is trying to tackle this challenge. With your support we thing we will reach our Goals. Thank you Dear Hnery Mova for your kind word .May God bless you too . I m so happy to hear that you re praying for me .Thank you again for this support .Together we can make the world the better place where a human race will live with dignity . Congratulations for your project , it really interesting because malaria remains a major public health problem in Democratic Republic of Congo.I wish you all success and we re support your project by voting and our prayers goes to you . May God bless you and makes you profit to his eternal Glory . I'm very happy and proud to see a project like yours and I'm a great supporter. I think it is very positive an initiative for the community that starts from someone within this community itself. I wish you and the community in the Democratic Republic of Congo the best. Cheers. Thanks for getting back to me Preeti and thank you for answer .I wish you all the success with your project to Engagement of women in the program.Anything else don't hasitate to get touch to me .I can share my litle experience with you about the Women Empowerment. Hey Andressa , yes me too i saw this in UFMG webpage , i thanks the FEDERAL UNIERSITY OF MINAS GERAIS for this support to disclose what SOLIDARIEDADE NA MOKILI is doing in DR .Congo and thank you for your kind words. We are togehther hand by hand to bring a well being for children who are dying every year in my Country. I read about the project at the UFMG's webpage and im so excited about this! I think its a wonderful initiative and i hope i can be part of it by voting, to say the least. Good luck! Thanks for visiting our project. Engagement of women in the program. Improvement in their life style and improvement in their economic conditions are the best indicators to measure the success of our project. Your project is really interesting and helpful. Congratulations for coming up with this kind project. I hope you will be successful and work on it's implementation. If you don't mind , I would like to ask you about the resources. How do you get the financial and human resources? With our workplan, our project aims to achieve its objectives through the use of community mobilization strategies that ensure active and sustained community participation in project implementation. This entails sensitization meetings with community stakeholders (village elders, community leaders, and women groups, youth groups and children themselves) to enlist their support. Community sensitization meetings will be conducted in all target communities to seek community support and ownership of project. In collaboration with community stakeholders, community-based environmental sanitation monitoring committees (comprised of all community stakeholders) will be established in each of the twelves target villages. The environmental monitoring committees will serve as a village task-force for supervision of community responsibilities related to organising, implementation and monitoring of environmental sanitation activities in their various communities. The community taskforce units will also serve as focal points for distribution of the insecticide treated bednets to families with under-five children in their various villages. It seems to be a good project for community health. I wish to know your implementation strategy. The steps you will take and how will will engage community in your implementation plan? God bless you too . Hope to work in partnership with you to continue to help African Comunity usefull to eradicate the malaria episode . Anything else , don't hasitate to get touch with me . This is a great and commendable project. God bless you as you do more to impact your community positively! We stand with rolling back Malaria..
It´s an amazing humanitary iniciative from a medschool mate who never left his people behind. We believe in your project, Louison! It´s already a great success and can get even better to help thousands of people! We want to provide the local health community with a comprehensive overview of progress in the fight against malaria.We hope this competition it is an occasion to highlight the need for investment and sustained political commitment for malaria prevention and control. Let support this project to save the life. A great project that safeguards the lives of thousands of children in Congo and pave the way for a brighter future to our world. Furthermore, it engages a major problem as malaria and contributes for mankind to achieve the UN's Millennium Development Goals. Congratulations to Mr. Louison Mbombo and his team for boldly launch this project! Anything else don't hasitate to get touch with us . Thanks very much Dear Belinda for your kind words.As you know , we must tackle the helth access challenge to the vulnerable population . Our Ogranization aims to create an impact social for the development . We need to run because they are people die every day with the problem that we can solve in few minutes.Hope to this competition to be our way to solve these problem. Merci beaucoup Tatiana pour ton commentaire , la République Democratique du Congo est un pays que nous devons toujours honorés et lutter pour un future meilleur aux generations avenir .Notre mission c'est le bien-être de tous avec une attention particuliére au plus démunis .Les habitants de la zone rurales sont isolés et rejetés a cause de leur situation géographique. nous sommes engagé a fournir des efforts necessaires pour chercher de Créer un impact rapide et vital sur le bien-être de la population en précarité ou victime enfin de réduire considérablement la pauvreté, la violence et participer au développement du pays. Muito Obrigado Dr. Elias Almeida pelo comentário , como você sabe meu sonho é fazer da República Democrática do Congo ,um país onde todo mundo terá acesso a Saúde como um Direito .Estamos lutando muito como uma organização sem fins lucrativos para conseguir parceria com diversas instituições necessárias para criar um impacto rápido do bem estar .Precisamos tirar esse projeto no plano virtual para alcançar a população que realmente interessa .Preciso muito apoio de todos para conseguir . Yes we make the handbook guidance of definition of Malaria and prevention method the acording the World Health Organization (WHO) ;Malaria is caused by parasites that are transmitted to people through the bites of infected female Anopheles mosquitoes. P. falciparum is the most prevalent malaria parasite in Africa and responsible for most malaria deaths globally. P. vivax is the dominant parasite outside of sub-Saharan Africa. * Rapid diagnosis testing and artemisinin -based combination therapies. The acording the WHO African Region since 2000 with this method, malaria mortality rates fell by 71 per cent among children under 5 years. Hey Mr. Adam King , thanks for your question . After a carefull studies about our project and our Villages ;we arrived to the conviction that it is possible to reduce the mortality death by Malaria up to 70 per cent .For exemple Simply sleeping under insecticide treated bednets reduces malaria mortality by as much as 20-50 percent, (UNICEF). Thanks for your message .It is an amazing experience to work with women and children .They welcomed us and there are very lovely and hopefully .I m very happy to invest to people in need usefull to create a well being and to fight against poverty. Keep up the great job louison, I\\\'m so proud of you. You are doing such an amazing job. We have seen what you have accomplish in Gungu and we pray the almighty God to bless your non for profit organizations so that you can continue helping people in need. May God assist you. You have all our support. Preventing is better than cure .May God bless you and makes you profit to his eternal Glory .You re amazing man . you re inspire people NOT ONLY IN Brazil and Congo but around the world . Quando vemos uma possibilidade de ajudar, não podemos nos esconder. Faça isso Louison e mostre para aqueles que fizeram seu povo sofrer que o bem é a melhor arma para lutar. Todos merecem uma vida no mínimo digna. do you make guidance handbooks for the definition of disease and prevention methods ? ~ Prevention is better than cure. Louison Mbombo is a student at UFMG. He's a great guy and his project amazes everyone in college. I hopefully expect that his project work. How did you arrive at 70% reduction rate? What sort of progress do you need to make quarterly to reach your goal of reduction in 24 months? Do you face impediments in terms of access to populations, staff shortages, and or other hurdles that make progress harder to make? Une très bonne initiative pour notre pays avec un système de santé abandonné par le gouvernement, celle de telle initiative peut sauver la population congolaise. Courage. NOUS VOUS REMERCIONS POUR VOTRE IDÉE DE SOUTENIR NOTRE PEUPLE AVEC DES LOURDES TACHES QUE NOUS AVONS DEVANT LE DEFIS QUI POSE DANS LE SECTEUR DE LA SANTÉ PUBLIQUE EN RDC . Vraiment courage mon frere,nous sommes tous derriere vous ! Thank you brother for your iniciative and willing to help children in need in Our ountry , we are proud of you Louison . Congratulation for your work ! Pessoas na RDC sofrem devido às políticas públicas equivocadas, mas enquanto houver pessoas como você, haverá esperança. A mobilização tem que sair do plano virtual e realmente alcançar quem realmente interessa. Bela iniciativa. Parabéns! You're doing a great job in helping the people. The picures are lovely and your work is amazing. I have been working on a similar project of preventing mosquito-borne diseases in India. If you want any help relating to the Idea, feel free to talk. How has your experience been since you started this organisation? What feedback have you received for the citizens?